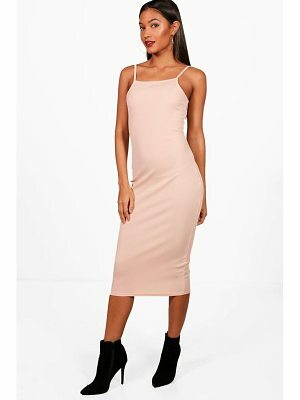 Body-Conscious dress by ASOS Collection, Firm-stretch fabric, Bandage-style detail, High neckline, Zip back closure, Kick split, Close-cut body-conscious fit, Machine wash, 98% Cotton, 2% Elastane, Our model wears a UK 8/EU 36/US 4 and is 175 cm/5'9 tall. Score a wardrobe win no matter the dress code with our ASOS Collection own-label collection. From polished prom to the after party, our London-based design team scour the globe to nail your new-season fashion goals with need-right-now dresses, outerwear, shoes and denim in the coolest shapes and fits.